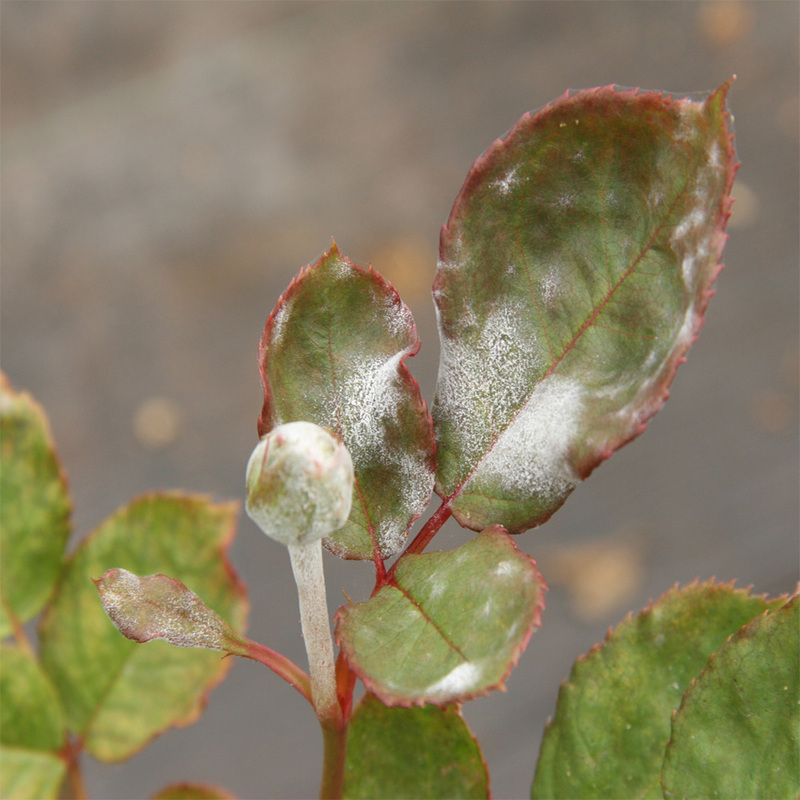 A very common fungal disease, powdery mildew attacks a broad range of plants. 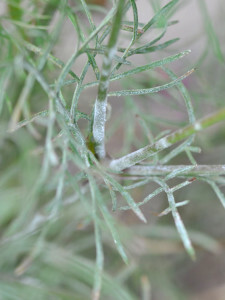 It looks like a white or grey powder coating leaves of plants and spreads rapidly over foliage. On some plants it will also attach and distort young stems and flower buds - the infected tissue withers and dies. This is one that demands fast action because of its rapid growth and also to prevent its spread to other plants. If left untreated powdery mildew will kill most annuals and significantly weaken other plants. Plants that are susceptible include grapes, roses, peas, geraniums, hydrangeas, gerberas, rosemary, mint, zucchini, annuals and crepe myrtles. The most efficient organic way to curb powdery mildew is to hit it with eco-fungicide or eco-rose (both of which will destroy the fungal growth on contact) and will leave a protective coating against new spores germinating. By adding seaweed product to the spray this will also help the plants to recover by strengthening their foliage to fight off further attacks and reduce the stress to the plant. Any affected leaves should be removed and destroyed.